Who Qualifies as a Volunteer for NTIM? The answer is simple. A person who loves the Lord and people, and wants to use their time in Thailand support some aspect of the work that God has called NTIM to do. There are 6 key things that NTIM Does: 1) build bridges to the lost through teaching English, 2) sending “laborers” into the heart of the 10-40 window, 3) reaching the unreached people groups, 4) making disciples by training up nationals, 5) facilitating in church planting, 6) and providing humanitarian aid. NTIM is a non-profit charitable organization with 501(C)(3) in the USA committed to connecting people in need with people who care. We are focused on the heart of Southeast Asia where poverty is high, education is low, needs are great, darkness is everywhere, and the love and message of Jesus is needed to transform lives. What kind of Opportunities are Presently available? Teaching Opportunities: One of the ways we strategically reach out into our community is through building relationships through teaching English. 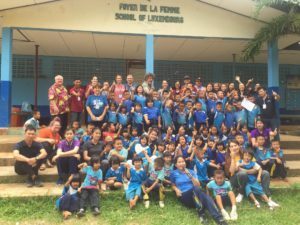 You can bring a team out to partner with our English language school called Grace Language School (GLS) to help us impact our world for Jesus. We have many types of teaching opportunities. 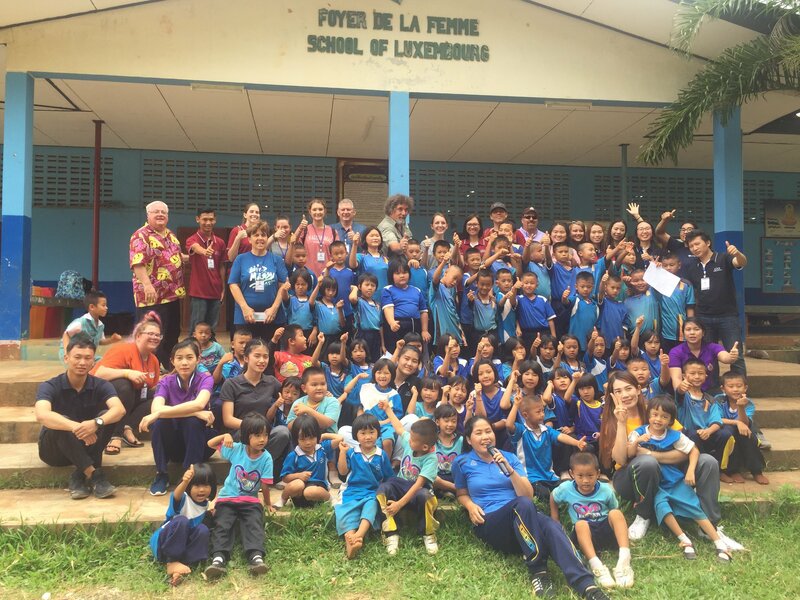 Community Projects: Such opportunities abound both in the city as well as in rural Northern Thailand. Personal hygiene, HIV-AIDS prevention, Malaria prevention projects, parenting skills, breastfeeding, first-aid training, nutrition, farming, and livestock training in a hands-on manner, business skills, literacy projects, the sky is the limit depending on you and your background, education, and passions. Medical Volunteers of all kinds: We live in a part of the world where poverty is high, education is low, needs are great, darkness is everywhere, and the love and message of Jesus is needed to transform lives. God has given NTIM an amazing opportunity to minister to many very poor children who are now cared for in Christian children’s homes. You could use your medical expertise in your medical and dental fields to provide checkups, treatment, and minor medical attention to some of the poorest of the poor in the context of a Christian ministry. Construction Work and Building: New building construction, repair work, roofing, plumbing repair, painting, classrooms, dormitories, kitchen facilities and more are all there awaiting you. Sports of all kinds: Thai children love sports, but the opportunities are not often available in schools outside of football (soccer). Every boy will know the star players of British Premier Football but at the same time has never experienced a simple game of fun such as volleyball, dodgeball. A sports clinic of some kind is most appreciated and the opportunities abound. It just takes some basic equipment such as net and balls and you are off. A basketball, volleyball, American football, or soccer clinic of two or three days, could be a wonderful way to impact the lives of children. Organizing a clinic or sports day with training and some prizes would be a great way to touch the lives of children. THESE ARE JUST A FEW OF THE WAYS THAT YOU CAN TOUCH YOUR WORLD FOR JESUS.